Looks like we are going to see a new, albeit short, season of The X-Files with original cast members David Duchovny and Gillian Anderson. Fox is looking at six to eight episodes. Will you be watching? 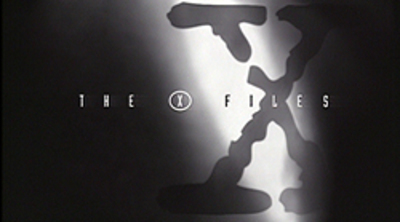 I loved The X-Files back in the day! A new season may just be the motivation I needed to binge watch all the past episodes and movies! OMG! I LOVED The X-Files! The first TV series that I really got into - I was a young teen when I started watching. I agree that this is just the motivation needed to get my partner to download all the previous seasons so I can watch them all again. I will definitely be watching the new season of X Files and the magic behind FBI team Fox Mulder and Dana Scully. I'm counting the days ... I can't wait. I religiously watched the X Files and loved the show. The chemistry between David Duchovny and Gillian Anderson made the show. I'll be watching, although it's only a 6 part series so it won't last long enough! It's weird that they're making more after so long, but I will DEFINITELY watch it. I'm so excited. I can't wait to see Mulder and Scully reunited on the small screen again. I think it is better than it coming back as a movie, because it will focus more on the series mythology and be aimed at fans rather than trying to appeal to those who hadn't watched it before. I'm really happy because Christ Carter is going to be behind the wheel, along with David Duchovny, Gillian Anderson, and Mitch Pillegi. That gives me faith that they will stay true to The X-Files.